Join us for June in Buffalo 2015! 2015 is shaping up to be a thrilling year for June in Buffalo, the Center's annual festival and conference dedicated to composers. June in Buffalo (June 1-7) offers an intensive schedule of seminars, lectures, workshops, professional presentations, participant forums, and open rehearsals in addition to concert after concert of excellent performances. This year the festival celebrates its 40th anniversary, and the 30th anniversary of David Felder's tenure as artistic director. It also marks the second year of the June in Buffalo Performance Institute (May 29-June 7), which invites young performers with an interest in contemporary music to take part in a master classes, lessons, and seminars with some of the strongest performers in the contemporary music field. The composition faculty at this year's JiB features some of the most adventurous composers working today, representing a wide variety of musical perspectives and compositional strategies. The Center is excited to welcome Martin Bresnick, David Felder, Brian Ferneyhough, Bernard Rands, Augusta Read Thomas, Roger Reynolds, Harvey Sollberger, and Charles Wuorinen to this year's festival, where they will teach masterclasses, give seminars, and have their works performed (and in some cases, premiered). These eight composers are some of those who have been important to the continued success of June in Buffalo, and it will be great to have them back in our midst this summer. The Performance Institute faculty includes some of the most skilled performers in the field, including institute director Eric Huebner (piano), Jonathan Golove (‘cello), Tom Kolor, (percussion), Jean Kopperud (clarinet), Jon Nelson (trumpet), Yuki Numata Resnick (violin). Among the resident ensembles at this year's festival, are the Buffalo Philharmonic Orchestra, Ensemble SIGNAL, Meridian Arts Ensemble, the New York New Music Ensemble, the Slee Sinfonietta, and Talujon Percussion Ensemble, in addition to special guests Irvine Arditti, Heather Buck, Ethan Herschenfeld, and Brad Lubman. With such a roster of internationally-renowned interpreters of contemporary music, it's tough not to be excited about all the concerts—and if there's one thing June and Buffalo is known for, it's all the innovative music that is constantly being performed. With afternoon and evening concerts by such top-notch contemporary ensembles happening every day, and a wide breath of musical aesthetics represented, there's definitely something for everyone with adventurous taste and open ears. Some of the great performances we're looking forward to include the New York New Music Ensemble playing Lukas Foss's Echoi and Performance Institute director Eric Huebner playing all (that's right) of Roger Reynolds' piano études. The festival will see the third performance of David Felder's colossal song cycle Les Quatres Temps Cardinaux by Ensemble SIGNAL and the Slee Sinfonietta (click here to read more about the last performance). 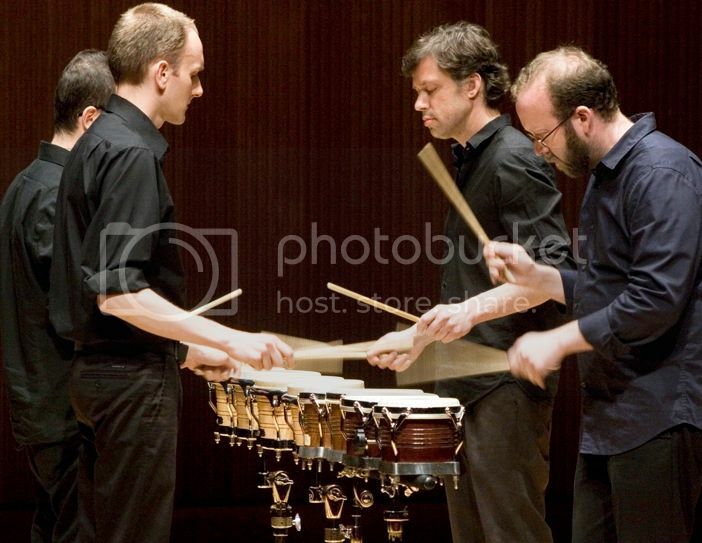 There will be an evening of percussion music at which Talujon Percussion Quartet will perform works by Martin Bresnick, Steven Stucky, and Iannis Xenakis, and Ensemble SIGNAL's Bill Solomon will play Ferneyhough's spiky solo piece, Bone Alphabet. The inimitable Meridian Arts Ensemble will present a program including Felder's Canzone XXXI and Charles Wuorinen's Brass Quintet (which was premiered at June in Buffalo fifteen years ago), and Eric Huebner and Irvine Arditti will play Elliott Carter's complex Duo for Violin and Piano. The festival will wrap up with a special performance by the Buffalo Philharmonic, conducted by Stefan Sanders, playing Felder's Six Poems from Nerudas "Alturas..." and Morton Feldman's exquisitely-titled On Time and the Instrumental Factor. In what is fast becoming a June in Buffalo tradition, Irvine Arditti will mesmerize the audience with an intimate solo recital in UB's Baird Recital Hall. There is something particularly enjoyable about seeing an audience of young composers watch in wide-eyed disbelief as the virtuoso violinist effortlessly plows through complex works like Sciarrino's Sei Capricci. This year, Arditti's concert will feature works by Roger Reynolds and Brian Ferneyhough, in addition to the delicate fragility of Morton Feldman's For Aaron Copland. While most of the events take place at UB's North Campus, for the past several years, the festival has made a point of utilizing some of the fantastic spaces in the city proper (I remember, in particular, an electrifying performance by the Genkin Philharmonic at Hallwall's at JiB 2011). This year, the festival will feature two downtown performances on Friday, June 5th. First, Eric Huebner's Music in Buffalo's Historic Places series will host a concert at the majestic Kleinhans Music Hall, home to the Buffalo Philharmonic Orchestra. The concert will feature performances by Performance Institute faculty and students playing classic works by composers who have a history of association with June in Buffalo. Afterwards, the festival moves down the street to one of Buffalo's youngest venues, Pausa Art House, for a solo concert by JiB faculty composer Harvey Sollberger, who will perform works for flute and accordion(!). From a concert by up-and-coming performers at a hall which is a National Historic Landmark, to a concert in a sharp new venue by a composer who was present at June in Buffalo's revival in 1986, the evening will be a lively tour through the past and present of both the festival, and its city—definitely not to be missed! Each of the invited participant composers will have one of her/his pieces performed during the festival. Young composers have the option of writing for Meridian Arts Ensemble, NYNME, Talujon, or members of the Slee Sinfonietta (included in the latter are the Performance Institute faculty performers). While composers are encouraged to write for members of the aforementioned ensembles, solos or duos for any orchestral instruments will also be considered. Participant composers will also have the opportunity to present their work in masterclasses with the JiB faculty composers. This year, with eight senior composers in attendance, participants won't be able to work with every faculty composer, but each young composer will have the chance to work with a randomly selected subset of the faculty. Application info is available online, the (postmark) deadline for submission is February 16, 2015. Fees for participant composers are $750, with optional on-campus housing for $350. If you want to come to June in Buffalo and be a part of the celebration, but you don't have time between now and June to compose a new piece for brass quintet or pierrot ensemble, there's great news: you can apply as an auditor. Auditors get to be a part of all the festivities, attending concerts and composer seminars, and are even able to present their work in masterclasses. The only difference between auditors and participants is that the former don't have their pieces performed. There is also a significantly reduced fee for auditors ($250). Performers invited to attend the Performance Institute will take part in master classes, lessons, and seminars with the performance faculty, and will work together through intensive rehearsals and workshops to prepare ensemble and solo works for performance at the aforementioned concert in Kleinhans. Application info the JiB Performance Institute is available online, and the deadline for submission is March 2, 2015. Fees for participants are $950, with optional on-campus housing for $450. There is lots of exciting music to make and even more to hear. We hope to see you at this year's festival! Just over a hundred years ago, Arnold Schoenberg composed Pierrot Lunaire for the unconventional instrumentation of flute, clarinet, violin, 'cello, and piano. This novel ensemble was subsequently adopted by many other composers, and its repertoire expanded from a single collection of 21 darkly expressionistic songs to hundreds of pieces by the century's end. Several of the era's most important works were composed for this instrumentation—dubbed the "pierrot ensemble"—including Donald Martino's Notturno and Peter Maxwell Davies' Eight Songs for a Mad King; and to this day a good number of contemporary chamber groups are centered on this particular quintet (e.g., Da Capo Chamber Players, Eighth Blackbird, New York New Music Ensemble, Piccola Accademia degli Specchi, etc.). There is another ensemble whose instrumentation is just as unique, just as dynamic and well-balanced as the pierrot ensemble, but for some reason did not catch on in the same way. 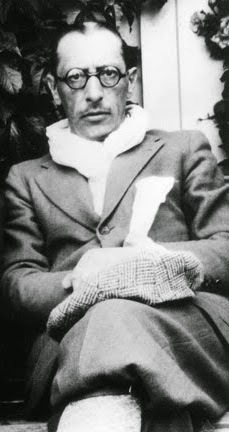 Just a few years after Pierrot's composition, Igor Stravinsky (Schoenberg's musical antipode in many ways), designed a septet for his 1918 music-theatre piece, L'Histoire du Soldat ("The Soldier's Tale"). The piece was logically and thriftily scored for a high and low voice from each instrumental family: violin and bass (strings), clarinet and bassoon (woodwinds), trumpet and trombone (brass), with percussion rounding out the septet. Stravinsky's intent was partly economical—the First World War and the Russian Revolution had severely impacted his finances, and L'Histoire was designed to be an easily-mobile piece that could be performed with little funding. Strangely, this particular septet (which lacks even a handy nickname)—despite it's practicality, and its expansive dynamic, registral, and timbral palettes—never became remotely as popular as the pierrot ensemble. The first week of December, the Center for 21st Century music will host an ensemble whose mission it is to change that fact. The Deviant Septet is the only new music ensemble consisting solely of the "l'histoire ensemble." Formed in 2010 by clarinetist Bill Kalinkos and trumpeter Mike Gurfield, the Deviant Septet is seeking to expand the repertoire for this instrumentation, and all the unique challenges it poses. The ensemble's website points out that "while Stravinsky's contemporaries were seemingly not up to the task, 21st century composers jump at the chance to solve Stravinsky's riddles." Among those riddle-solving composers are several UB graduate students, whose works will be read by Deviant at a workshop on December 6th. Roberto Azaretto, Weijun Chen, and Meredith Gilna have all written new works for the ensemble, which will perform the pieces and provide feedback to the composers. The workshop will thus be a collective "riddle-solving" session in which composers and ensemble will explore new ways to navigate this diverse collections of voices. Deviant will begin their residency with a concert in Lippes Concert Hall on December 5th. The centerpiece of their program will be, naturally, Stravinsky's L'Histoire. Based on a Faustian folk tale, the stylistically promiscuous piece features a tango, a waltz, a chorale, ragtime, dances, marches, and that very idiosyncratic Stravinskian "jazz" (in 1918, Stravinsky had not yet heard jazz, but he was inspired by some piano reductions that the Swiss conductor Ernest Ansermet had brought back with him from an American tour). The piece features an unusually prominent percussion part for a work of its time, and is as famous for its disjunct rhythms and rapidly-changing time signatures as it is for its unorthodox instrumentation. Deviant will complement L'Histoire with Esa-Pekka Salonen's Catch and Release (2006). Salonen's three-movement work begins with a march-like texture that seems to be inspired by L'Histoire itself, before unfolding into a new terrain of dancing grace notes, florid scalar runs, and playful trombone glissandi. Rounding out the program is Elliot Cole's Roman de la Rose. The piece was commissioned by Deviant Septet for their 2012 "Deviant Tierkreis" program, in which the ensemble asked twelve composers to write their own short pieces based on the Zodiac cycle, à la Stockhausen's Tierkreis (Cole's piece is Cancer). Sparse and ritualistic, Roman's funereal austerity is a nice counterbalance to the rhythmic density and dexterous complexity so prevalent in Stravinsky and Salonen's works. It's sure to be an exciting program—for a preview, see the video below, which shows the ensemble performing Randos III by Ted Hearne, another Deviant commission that responds to and re-composes Stravinsky's piece, creating something brand new in the process. The Deviant Septet is working hard to expand the repertoire of its unconventional instrumental makeup. Through its efforts, it's likely that the "l'histoire ensemble" could be to the 21st century what the pierrot ensemble was to the 20th. Regardless of whether or not that proves to be the case, we'll be fortunate to witness this "exceedingly fun" and "boisterously entertaining" ensemble perform works new and old with a fresh, enthusiastic vigor! Next week, New York's Mivos Quartet will be in residency at the Center. The group that the Chicago Reader has called “one of America’s most daring and ferocious new-music ensembles” will bring their unique brand of musical ferocity to Buffalo for an evening of contemporary music, at which they'll perform works by Taylor Brook, David Felder, Martin Stauning, and Helmut Lachenmann. Devoted to the performance of new works for string quartet, Mivos has worked with several international composers with a wide breadth of aesthetic perspectives. The quartet has performed works by composers as diverse as Harrison Birtwistle, Philip Glass, Annie Gosfield, György Kurtág, Alex Mincek, Wolfgang Rihm, and UB's own David Felder and Tony Conrad. Committed to the production of new works and the expanding of the string quartet repertoire, Mivos enjoys close collaboration with composers over extended periods. Such collaborations have resulted in new works by composers such as Mark Barden, Dan Blake, Patrick Higgins, Scott Wollschleger, and Sam Pluta—whose Chain Reactions/Five Events for quartet and electronics can be heard below. As an ensemble dedicated to education, Mivos will begin their residency with a workshop for graduate composers in Baird Recital Hall (Nov. 19, 3:00pm). The quartet will read pieces by UB composers Roberto Azaretto, Nathan Heidelberger, Su Lee, and Zane Merritt. As a genre, the string quartet manages to combine the nimble agility of a chamber ensemble with the genteel historical respectability of the symphony orchestra. Indeed, sometime during the twentieth century, the string quartet seemed to overtake the symphony as the key genre in which composers were most likely to articulate their musical manifestos, the pièces de résistance of their catalogs. Think of Carter's third quartet and Crumb's Black Angels, or more recently, Thomas Adés Arcadiana and Haas's String Quartet No. 3 "In iij. Noct. "—all of which, it's worth pointing out, are in Mivos's repertoire. Since commissioning and premiering new music is a key part of the quartet's mission, Mivos is devoted to continuing this tradition, employing—in the words of the New York Classical Review's George Grella—"a physically, intellectually, and aesthetically energetic engagement with the high Modernist values of harmonic, gestural, and structural complexity." Next week's concert will feature two works composed just last year: Martin Stauning's delicate, gossamery Atmende Steine ("Breathing Stones") and Taylor Brook's just-intoned El jardín de senderos que se bifurcan. The latter takes its title from the eponymous story by Borges, ("The Garden of Forking Paths"), which presents a conception of time in which all possible outcomes of any event simultaneously co-exist, evoking ideas of a hypertextual multiverse. 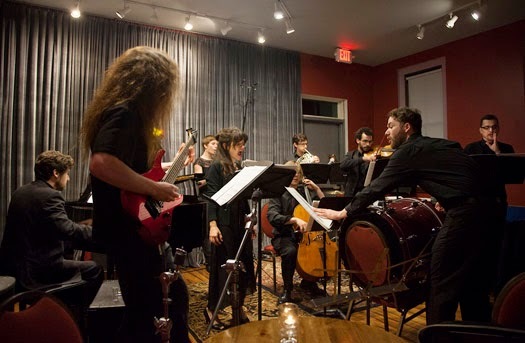 Brook's piece, winner of the quartet's 2014 Mivos/Kanter Prize, lives up to the ideas evoked by its title by drawing elements from a multiverse of traditions, including Japanese Gagaku, central African music, and free improvisation among others, endeavoring to create an "alternate history of music." 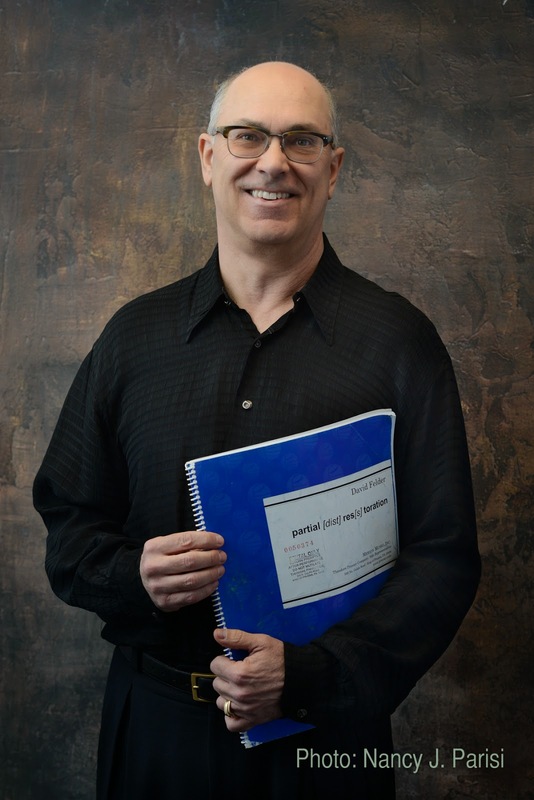 UB faculty composer David Felder will also be featured on the program. Felder's first string quartet, Third Face, will finish out the first half. Consisting mostly of aggressive, dramatic gestures separated by isolated islands of quiet, the piece was described by Andrew Porter in the New Yorker as "lucid, but with a controlled wildness in its making. Written for virtuosi, it challenges them by presenting its fierce, fertile ideas with almost reckless rhythmic and dynamic exuberance." A brief excerpt can be heard below. While the concert opens with Brook's imagined alternate musical history, Mivos will end the program with the third quartet by Helmut Lachenmann, a composer whose work has constantly commented on the historical traditions of European classical music, as well as the "aesthetic apparatus" of that music's social institutions and contingencies. Certainly one of Lachenmann's most important works in the past 15 years, Grido ("cry") opens with gloriously strident sustained tones, before unfolding into a dense universe of complex harmonies, brilliantly vibrant tremolos, penetrating silence, and violent scratch tones. The piece existentially scrutinizes the string quartet itself, as a genre, a medium, and a source of sonic material. Mivos's program will thus cover all the extremes: from the understated translucence of Stauning's piece to the sinewy muscularity of Felder's. And the concert will conclude with the strangely meta feat of a string quartet exploring the string quartet via a piece for string quartet, a musical Ouroboros of mind-bending composition and dazzling virtuosity not to be missed! Eric Huebner discusses Doug Fitch's "How Did We…?" Internationally renowned producer, designer, artist, and choreographer Doug Fitch has been in residency at UB as the first ever WBFO Visiting Professor. Fitch is working with with UB students, staff, and faculty in the Theatre and Music departments to produce an elaborate and surreal new theatre work called How Did We…?. The project will be performed on November 13, 14, and 15th at 7:30pm in the CFA Drama Theater. Fitch is well known in the contemporary music world for directing the New York premiere of György Ligeti's absurdist opera, Le Grand Macabre, with the New York Philharmonic in 2010. Fitch, along with his production company, Giants are Small, has also directed productions of Janáček's The Cunning Little Vixen (NY Philharmonic), Prokofiev's Peter and the Wolf (LA Philharmonic), Puccini's Turandot (Santa Fe Opera), in addition to works by Carter, Stravinsky, Weill, Hindemith, and Thomson. Beginning in his family's touring puppet theatre and going on to team up with the likes of Peter Sellars (Der Ring des Nibelungen), Robert Wilson (The Civil Wars), and Jim Henson (The Muppets), Fitch is no stranger to collaboration, and excels at bringing diverse artists together to create great works that are far more than sums of parts. The show features odd characters, giant ships passing in the night, digital people-surfing, a “Ballet of the Sensory Organs,” water drumming (in which drum chambers are filled with varying amounts of water to create unique sounds), a jungle of social media, high tea, dancing Tibetan Buddhist icons and much more. The performance will be supported with live music by composers Alfred Schnittke, David Felder, Paul Moravec, Doug Cuomo, Su Lee, Franz Schubert and Frederick Chopin performed by UB’s Slee Sinfonietta, a Balkan banda and an onstage string quintet. Eric Huebner, world-renowned pianist and member of the Music Deptartment faculty, has worked with Fitch before, playing in the NY Phil's performance of Le Grande Macabre. Huebner—who is also the coordinator of the June in Buffalo Performance Institute—is playing a big part in the production of How Did We…? acting as the project's music director. I had a chance to interview him about the work, and his insights only made me more excited about seeing the production! How did this project come together? How many departments and students are collaborating on it? I, along with Music Department chair Jeff Stadelman and Theater and Dance chair Lynne Koscielniak, proposed Doug Fitch for the inaugural WBFO Visiting Art Professor position. The production of Doug’s show, How Did We…? is a collaboration between students and faculty from the Music Department and the Department of Theater and Dance. The ensemble cast includes 18 student actors and dancers and nearly two dozen student designers and technicians. What role does the music play in the production? The piece has been called an "opera of images," how does that phrase relate to the music's role? The phrase “opera of images” means the story is told primarily by the scenes on stage and the music. In this case, the music moves the action forward. It is the catalyst for nearly all of the scenic changes taking place on stage. Each image or scene morphs organically into the next. Characters (some quite strange!) appear and disappear as if in a dream. The piece seems to pull together a lot of diverse elements, do they all serve a continuous narrative? Yes, absolutely. The show is about one man’s journey to become more comfortable with himself. The main character is played by actor Connor Graham, a student in the department of Theater and Dance. Fitch is no stranger to contemporary music, having worked on The Grand Macabre and The Civil Wars among so many others. How does that aesthetic sensibility manifest itself in this work, or in particular, in how he utilizes the music in this work? and the music that might go with it. There is a very diverse grouping of composers represented in the piece, from 19th century composers to UB faculty and students. How do the different pieces work together? 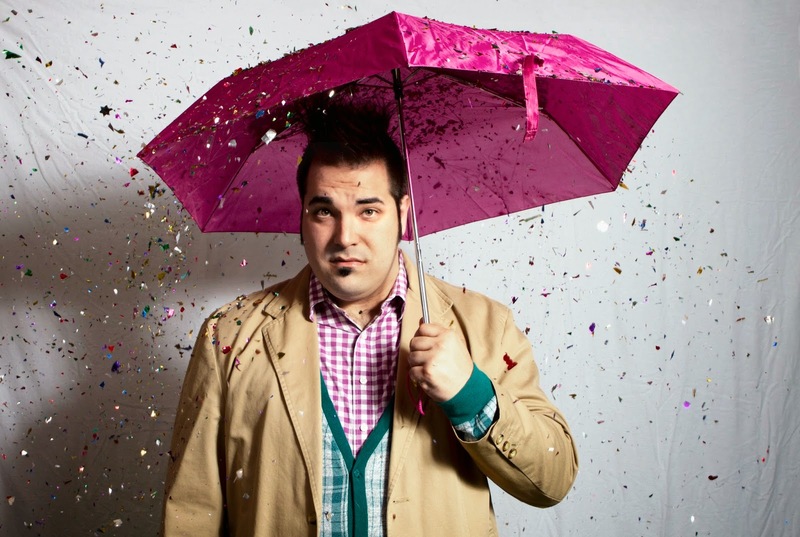 As de facto Music Director for How Did We…? my biggest concern was finding music that fit Doug’s vision of a particular scene while making sure the overall collection of pieces and electronic excerpts worked musically together. There are moments when one piece overlaps with another in musically interesting ways and still others where very different pieces of music are juxtaposed, one right after the next. The excerpts from the Schnittke Piano Quintet that open and close the show helps to give the musical score a dramatic underpinning. Mostly the music was excerpted from pre-existing works. In choosing the music, I was looking to include excerpts of works by our own students and faculty as well as my two composers, Paul Moravec and Douglas Cuomo, that Doug Fitch had expressed an interest in working with. The composer Douglas Cuomo wrote original music to accompany the penultimate scene which features Yamantaka—the Tibetan killer of death—which features a part for Alex Glenfield, a Buffalo-based Tuvan throat singer. Additionally, the Pulitzer-prize winning composer and Buffalo native, Paul Moravec arranged a portion of his orchestral work “Capitol Unknowns” for the Slee Sinfonietta. Of course I wanted to include work by our own excellent faculty and student composers and found the perfect compliments for several scenes in works by Professor David Felder and current PhD composition student Su Lee. The works by Schubert, Chopin and Dinicu provide a depth and dimensionality to the musical score and in the case of the Schubert and Dinicu, are part of the action on stage. Who is conducting the Sinfonietta? How about the Balkan banda or the string quintet, are they also made up of musicians from the department? Dan Bassin will be conducting the Sinfonietta. Moshe Shulman, a recent PhD in composition graduate from UB and a violinist will be heading up a trio of musicians, including Miguel Benitez on guitar and Jeremy Spindler on accordion. They will be playing Grigoras Dinicu’s “March Hora” from on top of a tall piece of scenery on-stage at one point in the show. The opening of the Adagio to Schubert's string quintet in C Major will be played on-stage by a group of student musicians from the Music Department and includes: Aidan Scoccia, Blair Sailer violins; Jessica Oemcke, viola; Lisa Gagnon, cello; Stanzi Vaubel, cello. Do you know anything about the piece with the "water-drumming”? Yes! It was choreographed with assistance from Jason Ross—a graduate student in percussion who happens also to be a champion clog dancer! A portion of the stage will be covered in water. I think to say much more will spoil the surprise! What is it like as a performer being a part of a multimedia production such as this? These kinds of productions always bring with them an added sense of excitement as well as organizational challenges. We're fortunate in this regard to have the support of a number of individuals associated with the Music Department and the Center for 21st Century Music as well as of course, the technical staff at the Center for the Arts and from the Department of Theater and Dance. In the video below, Fitch says the piece is about the "unanswered questions we have hovering in the back of our minds." This, of course, makes me think of Ives's The Unanswered Question. What do you, as a musician and teacher, think about music's role in helping us grapple with difficult questions? I think that it tells us these questions are, in some way, universal. We all hear different things in the music we listen to, but still there is a sense of discovery while listening to any worthwhile piece of music that enriches us and let’s us know that difficult questions may not have “right” answers. Is there anything else you'd like to say about this project? Please come see it! Everyone who’s worked on it is very excited about it! The Center is excited to welcome another skilled composer and conductor next week, as guest artist Daniel Asia presents the third installment of the Visiting Lecture Series. This Wednesday (November 5), Asia will discuss his work during a 3:00pm presentation, after working with UB graduate composers in a masterclass setting. Daniel Asia's music has been performed around the globe, by some of the most prominent and highly-regarded performers. Widely-known for his orchestral works—including five symphonies, piano and cello concerti, and two song cycles—Asia's compositions have been performed by the orchestras of Cincinnati, Seattle, Milwaukee, New Jersey, Phoenix, Pilsen (Czech Republic), and Jerusalem, among many others. His chamber works have been programmed by the American Brass Quintet, Pittsburgh New Music Ensemble, San Francisco Contemporary Chamber Players, The Bridge Ensemble, and Lontano. Asia's large-scale works blend elements from classical and vernacular musics, continuing the tradition of American orchestral composers like Samuel Barber and Leonard Bernstein. This is clearly apparent in his Piano Concerto (1994), whose Copland-esque first movement dynamically moves from boisterous orchestral tuttis through delicate pianistic latticework and back to dancelike unisons—all of which are regularly interrupted by jagged harmonic cascades. Asia has received commissions from the Koussevitsky Music Foundation, Fromm Music Foundation, D'Addario Foundation for the Performing Arts/Domus, the Oberlin Wind Quintet, and the Dorian Wind Quintet, among others. 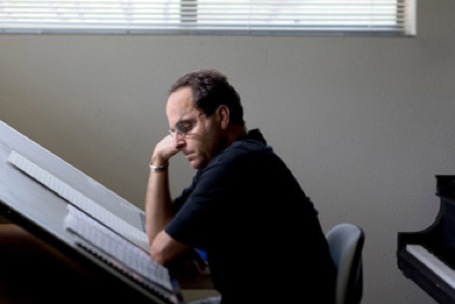 In addition, he has been awarded several prestigious grants and fellowships, including a Meet the Composer/Reader's Digest Consortium Commission, UK Fulbright Arts Award Fellowhip, a Guggenheim Fellowship, MacDowell Colony and Tanglewood fellowships, as well as four EA Composers Grants, and ASCAP and BMI prizes. Active also as a conductor, Asia is the founder and co-director (with Robert Beaser) of the New York-based ensemble Musical Elements, whose programs the Soho Weekly News has described as "intelligently balanced between seriousness and good humor," and which the New Yorker's Andrew Porter has called "warm, eager, and communicative." He currently teaches composition at the University of Arizona, Tucson, where he heads the composition department. Asia is also a regular contributor to the Huffington Post, where his articles on contemporary music regularly spark spirited conversation and debate. One of Asia's most recent works, Nonet (2010), is excerpted below. Like much of the composer's music, it features dramatic harmonic escalations, sudden twists and turns, shrewdly constructed—and often quite dense—counterpoint, all contrasted with diaphanous, elegiac melodies. Many of these qualities have been present throughout Asia's output, even in his earliest works, which were written in a much different style. [Indeed, those familiar with Asia's written critiques of the avant-garde may be surprised by the Carter-esque angularity and disjunct melodiousness of the First String Quartet (1973), or the darkly comic turns of phrase that populate his fixed media homage to a certain trumpeter, Miles Mix (1976).] It seems that throughout his career, Asia's music has been marked by a certain rhythmic playfulness, a keen ear for melody, and an astute attention to instrumental detail. All the more reason to come hear him share his insights when his discusses his work at next week's lecture! The Center is excited to count composer, conductor, and pedagogue Rand Steiger among its visiting artists this year. This Wednesday (October 29), Steiger will present the next lecture in the Visiting Lecture Series, bringing his unique artistic perspective to UB. Steiger is the chair of the Music Department at UC San Diego, where has taught composition since 1987. Before that, he served on the faculty at the California Institute of the Arts. In 2009, he switched coasts temporarily to serve as a Visiting Professor at Harvard University. Well known for his computer-music research, much of Steiger's compositional work features the interfacing of orchestral instruments with real-time digital signal processing. In addition, his works often use electronics to create a quasi-spectral blend of just and equal temperaments, an an effort to explore "the delicate perceptual cusp between a harmony and a timbre that occurs when tones are precisely tuned." Steiger has held several residencies at IRCAM, and frequently collaborates with Miller Puckette, the author of the Max/MSP and Pure Date programming environments and one of the leading computer music researchers of his generation. A lot of my pieces are really more abstract, just about the notes, the sounds, and the performers playing them. But in a lot of my larger works, I’ve looked for inspiration outside of music, in particular from the natural world. The first time I did that in a significant way was in The Burgess Shale (1994), an orchestral work for the Los Angeles Philharmonic, in which I drew on research about the Burgess Shale fossils—these amazing fossils that revealed previously unknown lifeforms. […] The piece was a kind of tone poem that had different sections that referred to these different creatures and the ways they might have interacted. Indeed, several of Steiger's works share this quality of evoking different "lifeforms". In a recent concert review, The New York Times referred to his piece Concatenation (2012) and the ways it evokes the sounds of "something growing and decaying; someone seeking or fleeing proximity with another; the dogged or tender effort to sustain something beyond its natural life span." The same article describes 2013's Template for Improvising Trumpeter and Ensemble as a "virtual zoo of electronically distorted and animated sounds." It’s more of a poetic and free-associative connection. I’m not trying to directly advocate for some kind of point of view about the environment or trying to take a musico-political approach to the subject. More generally, I’m just embracing the images and the concerns that I have and then free-associating with musical thinking and allowing it to affect the music, and then the outcome of that is somewhat unpredictable. But there have been times in some of my pieces where I’ve drawn on the environment for structural models. For the latter, the composer is referring to 2002's Ecosphere for large chamber ensemble and electronics, which draws on geographer Robert Bailey's classification of terrestrial ecosystems for a formal model. The piece—recently recorded by Ensemble Intercontemporain—consists of sixteen sections based on these ecosystems, taking their temporal proportions from the percentage of the Earth that each system inhabits—with additional data about each region's climate (e.g., temperature and precipitation) taken into consideration in the creation of new musical terrains. "It’s a way of challenging myself to do things musically that I wouldn’t do otherwise, and to take my work in a new direction." While he has recently been focusing all his attention on composing, Steiger is well-known in the contemporary music world as a skilled conductor. As the founding artistic director of the California EAR Unit, Steiger premiered and commissioned works by many notable composers—including Elliott Carter and Louis Andriessen, as well as former UB composers Morton Feldman and Lejaren Hiller—gaining a reputation for creating dynamic programs which often juxtaposed strikingly different works (e.g., playing Donald Martino's Noturno and Morton Subotnick's Key to Songs alongside Stockhausen's Stimmung). In the early 2000's, Steiger lead a series of critically acclaimed concerts with Ensemble Sospeso in New York City. In addition, he has conducted groups such as the Arditti Quartet, Los Angeles Philharmonic, and New York New Music Ensemble, presenting numerous world, New York, and California premiere performances by composers such as Milton Babbitt, Pierre Boulez, Brian Ferneyhough, Luigi Nono, Terry Riley, and Giacinto Scelsi. We're looking forward to hearing Steiger's presentation, and getting to learn more about him and his music! Next weekend, Pausa Art House will host an evening of new music—very new music. On October 25, Rochester-based drumset virtuoso Aaron Staebell will join forces with the Buffalo new music collective, Wooden Cities, to present a concert of newly composed works. With more than half of the pieces being world premieres, the program is sure to delight those interested in hearing what local composers are up to in 2014. A Buffalo native, Aaron Staebell is a percussionist in high-demand. A graduate of the Eastman School, Staebell has played with such visionaries as Bob Brookmeyer, Maria Schneider, Rick Braun, and Wycliffe Gordon. His jazz ensemble, Bending and Breaking, released an album of Staebell-penned compositions in 2011, and his playing can also be heard on Dave Chilholm's Calligraphy and Ben Thomas's Endless Mountain Regions (below is an excerpt from the latter, with saxophonist Tony Malaby). For this program, however, Staebell will present works commissioned for his soloDRUMsolo project, part of an endeavor to generate "art music for drumset". His set will feature Baljinder Sekhon's The Sounds of My Drums, along with premieres of pieces by Whitney George, Daniel Adams, and Wooden Cities' Zane Merritt. With the drumset often being typecast as a groove-based instrument, Staebell sought out composers who could expand on the instrument's lexicon, treating it more like a multi-percussion setup. "I'm trying to generate some more pieces for drummers that are not just 'drum solos' in the traditional sense." He points out that while classical percussionists often play works for marimba, snare drum, timpani, et al., and sometimes use the drumset, there are very few works that give the instrument equal focus. "My hope is that I can spark a movement to develop more music of this kind, so that 'classical' percussionists are encouraged to play more drumset, and so that the drumset is more accepted as a viable instrument in the percussion world." The pieces in the soloDRUMsolo project bypass genre-stylizations (latin, rock, jazz, etc.) in favor of new ways of directly interfacing with the instrument. For some of these composers, this means creating a brand new language for drumset—indeed, Merritt's piece goes by the evocative title "Counter-Esperanto", name-checking that most famous invented language. For their set, Wooden Cities will present a collection of works by Buffalo composers, continuing the ensemble's localvore-ist predilection for featuring music created in their midst. The collective will be joined by two guest performers: electric bassist and composer Meredith Gilna will assist in the premiere of her piece Jack Green, while the Buffalo Philharmonic's principal bassoonist Glenn Einschlag will join a performance of Robert Phillip's Larghetto Rubato—a piece premiered at the Center in 2010 during the residency of Magnus Andersson, Pascal Gallois, and Rohan de Saram. The program will also feature Sea Change by UB faculty composer, Jeffrey Stadelman, an intensely detailed work with references to Wagner’s Tristan und Isolde, featuring cellist (and recent addition to the group) Katie Weissman and oboist Megan Kyle. Wooden Cities premiered two other works by Stadelman earlier this year at the Inaugural Muriel Wolf and Albert Steiger Endowment Concert, a program which also saw performances of works by Lukas Foss and Lejaren Hiller (a video of Merritt's Burning City, premiered at this event, can be seen below). The program will conclude with a performance of John Zorn's famous game piece, Cobra, featuring both Wooden Cities and Staebell. The performance will be a reunion of sorts, as Wooden Cities' director, Brendan Fitzgerald, originally formed the group in 2011 specifically to perform Zorn's piece, and their first performance featured Staebell on drums. The ensemble has since become one of the foremost interpreters of this piece, which uses a strict set of rules to guide free improvisational activity. This tense push-and-pull between control and freedom often erupts in complex social dynamics which take shape on stage as the performers fight for control of the music. With Staebell behind the drums and Fitzgerald directing his band of skilled improvisors, there's no telling what will happen. Only that it will be…new. Edge of the Center covered Wooden Cities' December 2012 concert, read about it here. This Sunday, the Boston Modern Orchestra Project will perform David Felder's massive song cycle, Les Quatre Temps Cardinaux, as part of its season-opening "Surround Sound" event. Also featuring Ronald Bruce Smith's Constellation and the premiere of Anthony Paul De Ritis's Riflessioni, the evening centers itself on works that "merge orchestral and electronic sounds in profound and imaginative ways." BMOP Artistic Director and conductor, Gil Rose, describes the project: "As you can probably imagine, a carefully choreographed balance of ensemble, soloist, and electronics is rarely found in works for orchestra these days. We are pleased to share new works by leaders of the electro-acoustic vanguard that we believe best exemplify this highly sophisticated colloquy. Be prepared for some subsonic clangors and supersonic electronics!" Indeed, those who were fortunate enough to attend the premiere of Felder's Les Quatre last year—an excerpt of which can be seen below—know the delicate choreography Rose is referring to. The fifty-minute opus is composed for a chamber orchestra of forty musicians, two solo voices, and twelve channels of (surround-sound) electronics. In addition, Felder has included specific cues for lighting, adding a visual dimension to the piece's narrative. Coordinating all these elements is a substantial task for the performers, but one which yields transcendent results. Les Quatre was composed specifically for the voices of Laura Aiken and Ethan Herschenfeld, who premiered the work and who will perform it with BMOP this weekend. Vocal sound plays a huge role in the piece, which is centered on the eponymous poem by René Daumal, that, in Felder's words, "alludes to times of the day, the four elements, the four seasons and the four corresponding ages of life, emphasizing the trans-personal." Felder was drawn to Daumal in part due to the poet's astute orchestration of vocal sound itself. "His early career emphasized the conversion of poetry into a form of theater in which speech, gestures, breath, voice stops, and other elements of performance form a totality." Felder supplements Daumal with settings of Dana Gioia's "Insomnia" and Robert Creeley's "Buffalo Evening," both of which feature electronic samples of the poets reading their works. "Bob Creeley was a very musical reader,” Felder explained to the Buffalo News last year, "There's a lot of things he does when he reads that are innately musical. Dana was trained as a musician also. When you hear them read, and listen to the sounds of the vowels, they're very musical rhythms." The seeds of Felder's setting of "Buffalo Evening" can be found in So Quiet Here, a short electroacoustic piece the composer prepared for the poet's 80th birthday celebration. In So Quiet Here, the electronics emphasize the sonorous quality of the poet's voice, underlining and accentuating reoccurring phonemes. In Les Quatres, however, the electronics are augmented with an elaborate percussion accompaniment, which mimics and resonates with the specific sounds of the poet's voice, before the other instruments join in and Herschenfeld begins intoning the evocative words. In a way, the poem itself seems to have moved through four stages (written text, electronic recitation, percussive translation, orchestral setting), mirroring the "quatre temps" narrated by the large-scale work itself. It's exciting that a work with such subtlety and richness will be performed by such a strong orchestra dedicated to contemporary music. BMOP is widely recognized as one of the leading orchestras in the US specializing in new music. 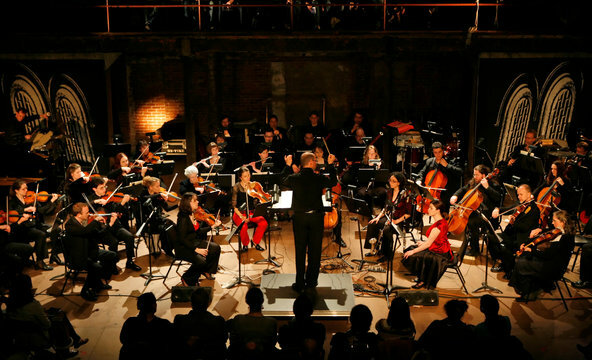 Founded by Rose in 1996, the orchestra seeks to "illuminate the connections that exist naturally between contemporary music and contemporary society by reuniting composers and audiences in a shared concert experience." In its first 18 seasons, BMOP has performed over a hundred world premieres in nearly as many concerts, including forty commissioned works. Indeed, BMOP were co-commissioners of Les Quatres with SIGNAL ensemble and the Serge Koussevitzky Music Foundation, and in addition to performing the work, the orchestra will be recording it as well. If you're in the Boston area, be sure to order a ticket to this exciting event! BMOP Artistic Director Gil Rose has also conducted the Slee Sinfonietta, read about that performance here. David Felder’s Les Quatre Temps Cardinaux of 2013 was the symphonic-length conclusion to Sunday’s program. It’s a fiercely ambitious work, employing soprano and bass soloists (here, Laura Aikin and Ethan Herschenfeld), and weaving together poetic texts by René Daumal, Robert Creeley, and others, by turns sung, heard in recorded recitation, and abstracted into pure sound. At one point, for instance, we hear all the vowels of a poem strung together without any consonants. Felder deploys his vastly expanded palette of sounds artfully. In Sunday’s account, the human voice of the poetry introduced a kind of melancholy undercurrent beneath the whir of the orchestral machine. He added that the performances "opened up as many questions as they answered about the possibilities for 21st-century technologies interacting with what we might describe as the cutting-edge sound technology of the 19th century." All the pieces in Sunday’s concert […] might have inspired the title "Surround Sound," but it was the Felder work that made it literally true, bouncing electronic sounds and samples around an array of speakers located throughout the auditorium. To call Felder’s Les Quatre Temps Cardinaux "electronics-enhanced" would be like calling Brahms’s First Symphony "horn-enhanced." The electronics were so integral to this ambitious, 50-minute-long meditation on time that they became a third soloist, taking over entirely from the orchestra at several points in extended solo cadenzas. On October 7, the Slee Sinfonietta will present Ensemble Signal, under the direction of Brad Lubman, kicking off the Center's fall season with Dérive 2's older sibling. While composed for a smaller ensemble (pierrot ensemble plus vibraphone), and unravelling over a brief six minutes, Dérive 1 (1984) is no less significant than its successor. Its title evokes the idea of "drift", and can also be translated as "derivative," the latter a reference to the fact that much of the piece's material is derived from Répons, a large-scale work for six soloists and electronics composed three years earlier. Répons itself was derived from material from Boulez's Messagesquisse, notably a six-note chord based on the patron Paul Sacher's last name (S-A-C-H-E-R or Eb-A-C-B-E-D). This same chord is the pillar that supports Dérive 1, reappearing in various combinations over the course of the work. The piece unifies many of the characteristics so common to Boulez's music: his "smooth time" marked by chaotic, irregular gestures; the "striated time" represented by rapidly articulated repeating notes; and the "metrical time" which made its first appearance in Répons, a grounding in an (admittedly highly-ornamented) regularity. The piece is led by the piano which, in addition to introducing the piece's primary sonority, provides a subtle harmonic backdrop by using the sostenuto pedal to allow its lowest octave to resonate throughout the piece. A fitting companion to Boulez's piece is Elliott Carter's Triple Duo. Composed a year before Dérive 1, and for a similar instrumentation, Carter's piece is a trialogue between three instrumental pairs: flute/clarinet, violin/'cello, piano/percussion. This witty, mercurial piece features a number of quick cuts between differing sections, with each duo occupying its own registral and gestural spheres. The composer David Schiff, in his monograph on Carter describes the ensemble as a 'raucous band': "the woodwinds gurgle, shriek, and coo like a pair of amorous birds, the strings scrape and pluck comically, and the percussion and piano evoke the more angular variety of free jazz." That final comparison is perhaps most apparent during the piece's finale, a dynamic escapade marked by syncopated tuttis, arabesque lyricism, and jerkily disjunct gestures, or as Schiff refers to it, "ultra-bop." Charles Wuorinen's New York Notes, composed just a year before Carter's piece (1982), also divides the ensemble into three duets of related instrumental pairs, while also allowing each performer moments of virtuosic flair. The piece is divided into a traditional fast-slow-fast three-movement structure, however, as Wuorinen explains, "The tempo is always the same, so that the differing speeds contained in the work are all expressed through note-value alterations rather than pulse changes." This is no doubt a challenging element for Lubman and the musicians, but they are certainly up to the task! Lubman and Signal are not the only guests visiting the Center next week, film composer Larry Groupé will be the first speaker in the Visiting Lecture Series. 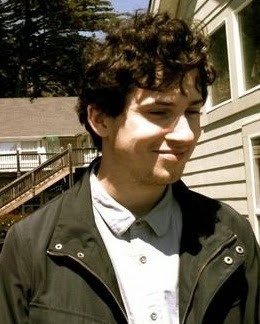 Groupé has composed scores for several well-known films, including Straw Dogs (2011), Nothing but the Truth (2008), Resurrecting the Champ (2007), and, perhaps most notably, The Contender (2000). He also acted as the co-composer and conductor for the progressive rock band Yes's 2001 album Magnification, while also writing overtures, arrangements and conducting for their Symphonic Tour of the World. Groupé's score to the 2004 ABC series Line of Fire was nominated for a primetime Emmy, and he has received two Emmy awards for his work on the documentaries Jonas Salk: Personally Speaking (1999), and Residue (2008). In a particularly interesting project, Groupé scored the film I Woke Up Early the Day I Died (1998), which was based on camp director Ed Wood's final, unfilmed script and starred Billy Zane and Christina Ricci. No stranger to the avant garde, Groupé studied composition at UC San Diego with Roger Reynolds, Toru Takemitsu, Pauline Oliveros, and Bernard Rands, and computer music at Stanford with John Chowning and Leland Smith. We look forward to hearing his presentation on October 6, at 3:00pm in Baird Recital Hall! There are six extremely talented composers joining the Composition program this Fall! We're excited to get to know them and their music, and we can't wait to hear what new things they'll be coming up with during their time in Buffalo. Matthew Chamberlain is a composer and conductor from Leesburg, Virginia. 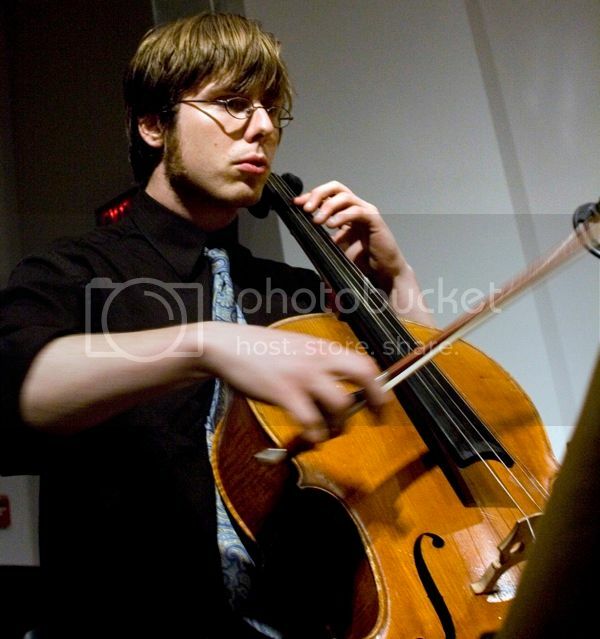 He studied composition at Oberlin with Josh Levine and Tim Weiss, eventually earning a Bachelor's in composition and a Master's in conducting. As a conductor, Matthew has served as Music Director of the Northern Ohio Youth Orchestras’ Philharmonia Orchestra. He has also led the Oberlin Sinfonietta, Arts & Sciences Orchestra, Chamber Orchestra, and Contemporary Ensemble with whom he performed at the 2013 Third Practice Festival at the University of Richmond. As an advocate of new music, Matthew has commissioned works by young composers for the NOYO Philharmonia, and has premiered numerous new pieces. In 2014, Matthew premiered his large ensemble piece, Falstaff imagines a passacaglia with the Oberlin Chamber Orchestra. His recent pieces have focused on defamiliarizing common formal devices, playing on listener expectation. He says that Falstaff is a piece that doesn't trust it's own form. "The piece is easily distracted; it wanders from the only goals it has been able to articulate, and when all is said and done, it’s not quite sure whether to be proud or sad about its nascent independence." While Falstaff might not know whether to be proud or sad, Matthew is enthusiastic. He's currently working on an essay about the concept of "relevance," aiming to "help people to talk about the art they make with less shame and more gusto!" Matthew is also a fan of earlier music, an affinity which comes across in his own work. "I am predisposed to [musical] materials that carry a great deal of historical baggage, as they have so much potential to illuminate the contexts in which they are presented." We're sure he'll be at home in a city with as rich a musical heritage as Buffalo! Jiryis Ballan grew up in Kafr Yasif, a city in Northern Israel near Nazareth. As a child, he was exposed to a wide variety of music, including slassical opera, liturgical music, 1960s protest songs, as well as music from South America and Lebanon. He studied music and archaeology at the University of Haifa, and, more recently, taught at an alternative school called "Hewar" (which means "dialogue" in Arabic). While in Haifa, he studied classical and jazz theory, and played guitar and buzuq, a long-necked fretted lute from Lebanon. Jiryis can be seen playing the buzuq in a recent film, 1913: Seeds of Conflict and recently performed at the Israeli-Palestinian Memorial Day Ceremony. As a Fulbright scholar, Jiryis is excited to join the program at UB. "I wish to further work and develop my composition skills, with special focus on notation techniques, music analysis, and orchestration. There is a warm atmosphere in the Music Department. I am looking forward to being involved as much as I can here, and other departments." He's already begun reaching out to the Theatre and Dance department, where he's an accompanist for the contemporary dance class. Meredith Gilna recently received her MM in composition from the Hartt School, where she studied with Robert Carl and David Macbride. Before that, she was at Butler University, studying with Michael Schelle, Frank Felice, and James Aikman. As an accomplished electric bassist, much of her work explores the lower realm of the pitch spectrum. "I love all sounds that are low pitched," she says. You can certainly hear this in her recent piece, Ride, for three electric basses with delay, distortion, alligator clips, and electric lady razor. Ride is a text-based guided improvisation composed for her Electric Bass Band, one of the few exclusively electric bass ensembles. When she's not composing, Meredith is playing bass in whatever context she can find. She's currently working on learning all of the bass parts in Steely Dan's Royal Scam and Aja—a pursuit which she says is informing her compositional work(!). Roberto Azaretto comes to UB from Buenos Aires, where he studied composition at Universidad Católica Argentina. While he comes from a more modernist background, his work is starting move closer to "an experimental, desubjectivized, speculative perspective." He describes his ever-changing compositional process: "During the last few years most of my work has been about filtering and permuting modules, to be later stretched or compressed according to arbitrary metric sequences, and further altered by the accumulation of timbral modifications." Ying-Ting Lin is a Taiwanese composer with degrees from National Kaohsiung Normal University and National Taiwan Normal University, where she studied with Ching-Wen Chao. Active as a composer and pianist, Ying-Ting's music has been awarded several prizes, including the National Symphony Orchestra of Taiwan competition in 2010-2011, and the Taiwan National Ministry of Education Composition Award in 2010. Her recent piece, Memories of Landscape (2011) for sheng, erhu, liuqin, pipa, and guzheng was awarded second place in the Chai Found Chinese Musical Instruments Competition in 2011. The piece, inspired by Yan-Ting Hou's painting, Spring, represent's the composer's attempt to reflect her deepest solicitude over her motherland by featuring dots and lines—the two main components of Chinese ink wash painting. She describes her piece: "It begins with sheng and string instruments, which portray the initial black spot in a Chinese painting. It then continues on melodious elements that depict lines. These two main components interlock throughout the whole work, embellishing the contemporary outfit by a traditional way of thinking. The piece ends with the pipa and guzheng playing harmonics, as though an egret and a clover hide within branches and weeds. This suggests the beginning of lives, and the beginning of everything."